Gerald R. Colen was born in Toledo, Ohio, where he attended local schools through high school graduation. He then attended The Ohio State University where he obtained a B.A. degree in history. Following his graduation from Ohio State he enrolled in The University of Texas School of Law from which he graduated in 1966 with a Juris Doctorate degree. Mr. Colen came to Florida in 1967. He is presently a member of the Florida, Ohio and Texas Bar Association. However, he confines his law practice to the State of Florida. He is also licensed to practice before the United States District Court for the Middle District of Florida and before the United States Eleventh Circuit Court of Appeals. Mr. Colen served as City Attorney for the City of St. Pete Beach, Florida for approximately 25 years. During that time, he was involved in innumerable different legal matters including First Amendment issues, labor and employment grievances, sexual discrimination issues, civil rights, zoning and planning, constitutional law issues, entertainment law and also the preparation and drafting of ordinances and resolutions. Presently, Mr. Colen is the District Legal Counsel to four separate community development districts located within Marion County, Florida. In his role as district legal counsel, he provides advice and opinions on a diverse range of governmental and local special district issues. Mr. Colen has authored news articles for local condominium newspapers on wills, trusts, elder law, probate, Medicaid matters and real estate and title insurance. 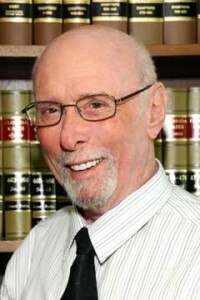 He is a member of the National Academy of Elder Law Attorneys and the Academy of Florida Elder Law Attorneys. He concentrates his practice of law in the areas of elder law, asset protection planning for individuals and business owners, special local government issues, real property and title insurance law, simple and complex estate planning, wills, trusts and probate.